teven C. Ward is professor of sociology at Western Connecticut State University. He is the author of three books, Reconfiguring Truth: Postmodernism, Science Studies and the Search for a New Model of Knowledge; Modernizing the Mind: Psychological Knowledge and the Remaking of Society and Neoliberalism and the Global Restructuring of Knowledge and Education. 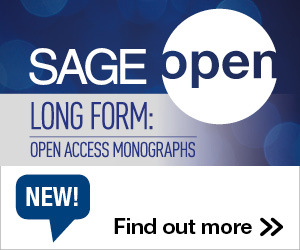 His current research examines the link between knowledge society policies and global university and school reform efforts. How sweet it is to be No. 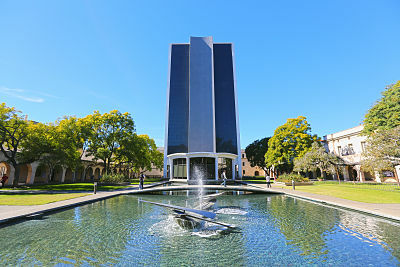 1: The Milikan Library at the California Institute of Technology, AKA Caltech. But do all these rankings actually tell us anything substantive about the relative quality of universities? 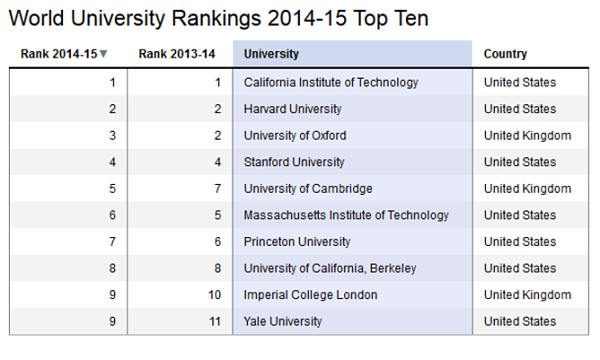 Should US or UK universities be concerned with their slippage in the latest THE rankings? There are 74 US universities on the new list – the most from any country – but this was down from 77 last year, and 60 percent of American institutions lost ground in the rankings. The UK, in second place, now has 29 universities in the top 200, two fewer than last year. Do such rankings separate the chaff from the wheat, or the pure from the dangerous, or are they distractions and distortions to achieving a real equality of quality? Are they incentivizing universities to perform better or actually inviting cynical “gaming” of the system? In the end, ranking universities creates a “consumer sovereignty” where finicky students and in-demand professors use rankings to carefully determine which university they will attend or work at. All this creates quasi-market conditions for universities, fueling competition and creative destruction. At the same time, and in terms that would have made British sociologist Herbert Spencer and the social Darwinists proud, it sheds the weaklings and hones the fittest. Rankings often conceal a purposeful politics hiding underneath the veneer of objectivity. Just as GDP uses selective measures to determine the underlying health of an economy and becomes factual as it is continually used, university rankings use items selected from a sea of possibilities to establish a higher education reality. The THE rankings use 13 indicators, including research income, citation impact and percentage of international students. Deliberately or not, they steer organizations toward particular political outcomes. Rankings do have real effects on what universities value and how they operate. Their increased popularity also signals a profound historical change in our attitude toward equality and quality in public institutions. No longer can public institutions be “good enough” or “roughly equal.” Under the ethos of competition, some now must necessarily be better than others. There must always be winners who go up the rankings and losers who go down in order to stoke the fires of competition. Certainly the case can be made that all our public institutions should be of the highest quality, and, dare I say, “excellent.” So the question must be asked: does the generation of competition in public enterprises actually make them better? Rather than encouraging excellence they may actually extinguish it as universities turn from doing their job to “gaming,” and “juicing the results.” An ongoing testing scandal in Atlanta is a good example of how this can happen lower down the educational chain. This entry was posted in Higher Education Reform, International Debate and tagged The Conversation, University Rankings. Bookmark the permalink. Post a comment or leave a trackback: Trackback URL.